Concluding that the agreement contended for by the tenant was “a fiction”, Ms Justice Deirdre Murphy said she would hear further submissions on any rights which may derive from the Landlord and Tenant (Amendment) Act 1980 based on the findings of fact she made in this judgment. Michael Doyle is the owner of Shamrock Commercial Park, comprised of approx. 6 hectares of land upon which there are 3 warehouses, a showroom and offices facing a public roadway. Mr Doyle is a businessman who imports machinery for sale and hire. In the 1990’s, Mr Doyle was particularly involved in the importation of lawnmowers from around the world, and at the time he was paying significant rental for storage. He became aware that the land at Castlecomer was up for sale, and in 1996 he bought the land from Roadmaster Caravans Ltd. When Mr Doyle bought the land, he was aware of the presence of tenants in the property – some of whom had acquired a business equity under the Landlord and Tenant (Amendment) Act 1980. This included Michael Leahy, trading as Ideal Kitchens and Bedrooms, who held the showroom, the adjacent office, and toilet facilities since January 1987. Mr Leahy was also using Warehouse 2 for storage. Mr Doyle submitted that his priority was to get access to the warehouses for the storage of his own machinery. He also submitted that Mr Leahy wanted IR£17,000 in cash in order to waive his statutory entitlements to a new tenancy. Mr Doyle gave evidence that he did not give Mr Leahy a cheque nor was the agreement to waive his statutory rights reduced to writing. By late 1999 or early 2000, Mr Leahy had moved to Warehouse 3 at the rear of the premises, where he paid the same rent as he had in the showroom. Mr Leahy paid rent until 2002 but had remained in occupation of Warehouse 3 since that time without paying rent despite numerous demands from Mr Doyle. Mr Leahy’s evidence was that he had approached the managing director of Roadmaster Caravans Ltd when the land was for sale, to inquire about purchasing a site – however the managing director stated that he wanted to sell the property as a single lot. In 1999, after Mr Doyle purchased the property, Mr Leahy submitted that Mr Doyle locked him out of the offices and toilets attached to the showroom without any notice, and then approached him to tell him that he needed the showroom area. Before moving from Warehouse 2 and the showroom area to Warehouse 3 in December 1999, Mr Leahy alleged that he had several meetings with Mr Doyle in which they discussed Mr Leahy acquiring a site on the property, that he entered a surrender agreement with Mr Doyle, and that in principle he did not require payment as he was willing to do a straight trade of Warehouse 2 and the showroom in return for a half acre site. Mr Leahy submitted that in or around 1999, he received a €30,000 cheque from Mr Doyle, signed written agreements to protect Mr Doyle’s interests, and that the €30,000 would be returned once the half acre site was transferred to him. Mr Leahy said that at the end of 2002, he had a meeting with Mr Doyle about transferring the agreed half acre site – and that Mr Doyle told him he needed more time. Mr Leahy said they agreed that if he did not push the issue of the transfer of the site, Mr Doyle would not charge him any rent. Mr Leahy submitted that he did not receive invoices for rent in that time. In 2006/7 Mr Leahy learned of a potential development of the property and threatened Mr Doyle with legal action if he did not receive further information. In 2008 he said he received a letter “out of the blue”, seeking payment of rent from 2002 onwards. 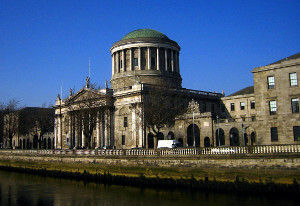 In the High Court, Mr Doyle brought a claim for possession of Warehouse 3. Mr Leahy denied that Mr Doyle was entitled to possession of the premises and counterclaimed for an order compelling Mr Doyle to sell to him an agreed site on a different portion of the folio. In the alternative, Mr Leahy sought a declaration that he is entitled to a statutory lease of the demised premises under the provisions of the Landlord and Tenant (Amendment) Act 1980. Ms Justice Murphy said that she considered Mr Doyle’s evidence more credible. That the core element of Mr Leahy’s counterclaim about the agreement to transfer land, Ms Justice Murphy said was such a complex deal that it was inherently unlikely that a businessman of Mr Doyle’s experience would have agreed to without legal advice. As such, Ms Justice Murphy concluded on the balance of probabilities that there was no such agreement in fact. In addition to many discrepancies in Mr Leahy’s evidence which caused the court to doubt his reliability, Ms Justice Murphy noted that it was not possible for any agreement to have been made in 1999 involving a €30,000 cheque as the Euro only became legal tender in 2002. Ms Justice Murphy said that, in these proceedings, Mr Leahy had attempted to right the wrong he perceived was done to him in what Mr Leahy described as being “screwed” by Mr Doyle who “short-changed” him by only giving him IR£17,000 to waive his statutory rights. Ms Justice Murphy said that Mr Leahy “should accept that sometimes in life we make bad deals. When we do so, we should learn from it and move on”. On the balance of probabilities, Ms Justice Murphy was satisfied that the arrangement contended for by Mr Leahy was a fiction, and that despite demands in the form of invoices and/or rental statements he has paid no rent since 2002 and remained in occupation. Based on her findings of fact in this judgment, Ms Justice Murphy said she would hear legal submissions from the parties on the issue of rights which Mr Leahy may have pursuant to the Landlord and Tenant (Amendment) Act 1980.